What if you start a non profit out of a for-profit, then that non-profit starts its own for-profit to fund its non-profit operations? Sound confusing? It’s not, and it’s actually an incredibly smart way to help change the world without constantly relying on donations and hand outs to operate. FK Day co-founded SRAM, one of the world’s largest cycling component brands. 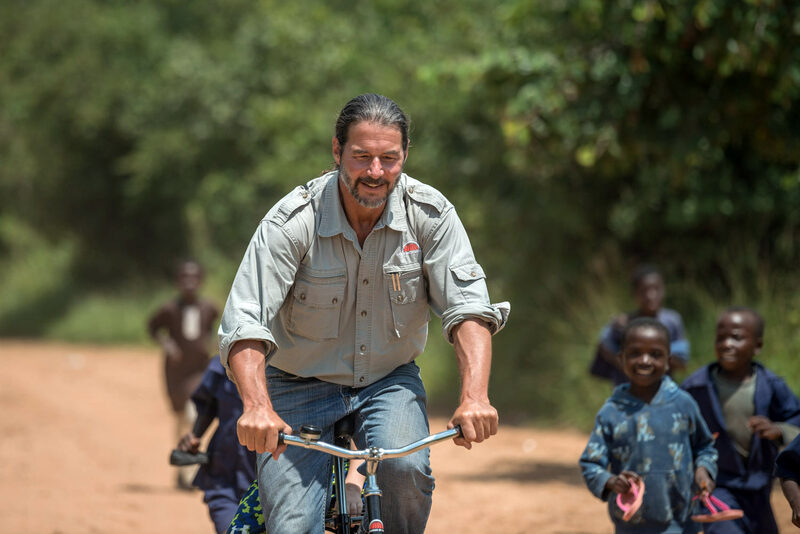 Then, after 20 years, he stepped aside to launch World Bicycle Relief, but he took all of the business lessons he learned from SRAM and applied it to grow rapidly and make a massive impact through bicycle donations. You may not be making the world a better place through cycling, but there are a ton of corollaries any entrepreneur can use to grow by empowering employees, building so you can scale, and going where your customers are. Listen in to hear how FK has built a massive global enterprise and his tips for doing the same with your own business! 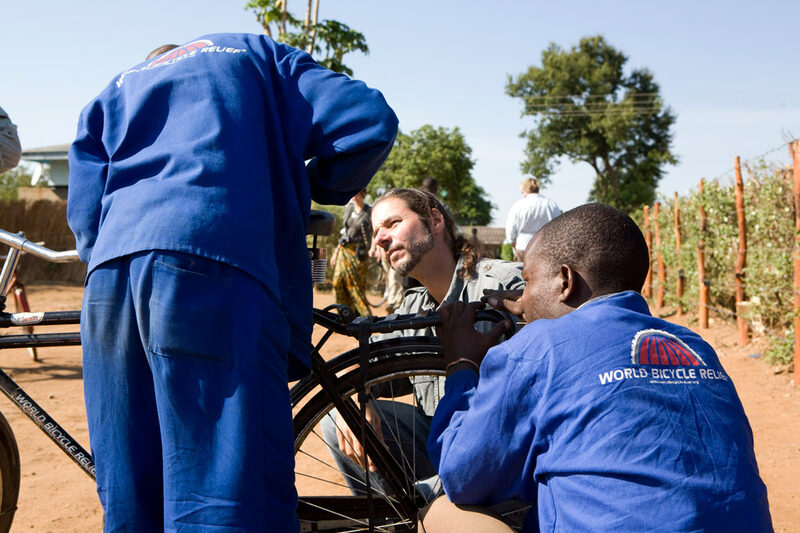 01:40 – What is World Bicycle Relief? Why did it start? 03:50 – How is running a non-profit like running a for-profit business? 05:00 – How and what do you measure to determine growth or success? 14:40 – Is it OK to take a big salary out of a non-profit? 44:35 – What operational issues keep him up at night? With a for-profit company, it’s easy to find metrics to measure your performance by. Sales, growth, profitability, etc. With a non-profit, it’s a little harder to figure out what you need to measure. FK’s example of measuring school performance doesn’t sound like they’re counting the number of bikes delivered. Instead, they’re measuring the impact that those bikes are having. This carries an important lesson for any type of business: Make sure you’re measuring the right thing. Maybe pure profits isn’t it if they’re coming at the expense of long term growth potential. What are you measuring, and does it really matter? The other important lesson FK shares is to make sure you know your customer. Don’t assume you know what’s best for them. They made this mistake with SRAM’s first product and it almost cost them the business. Fortunately they found another use for the technology and they’ve grown. But he took that lesson with him to WBR and put boots on the ground where they wanted to help. This let them assess the situation in person, talk to the locals, and see how they could best help. Any business should do this. Talk to your current or potential customers and see what they really want. What they’re actually using. How and why they’re using it. And where it falls short or where their pain points are. These are the opportunities. FK’s strategy for raising money for WBR by selling bikes is similar to diversifying your product line to increase revenue. Or, liken their charitable work to R&D…you have to sell something to make the money needed to fund new product development and continue to grow. Another parallel we can draw from their efforts is to empower the people on the ground to make the best decisions to grow the business. WBR relies on locals to administer the bicycle programs in the way that works best for their area. Those managers know WBR’s goals, and they’re entrusted to accomplish it the best way they can. FK creates a data-driven culture where they provide their employees and contractors all the way up and down the company with the information they need to act. This allows them to be flexible in a way that top-down, micromanaging simply can’t. How can you structure your company so that your people have both the information and authority to act without needing approval from above. FK examines Impact, implementability, and the ability to build a social enterprise on their philanthropic work to determine whether they should pursue an opportunity. These three criteria allow them to evaluate each opportunity objectively and only move forward if they can clearly see how it will work. What measurements and criteria do you have in place to help you choose which opportunities you pursue. FK also mentions that their decision making is based on how scalable a project is. If it’s too small, it may not be worth the effort. Or, if it requires too much specialization of your system, then it’s not repeatable. It’s not that that’s an inherently bad thing, but it does mean that those specialized projects need to be profitable enough to justify that effort. I like how the supplier that actually listened to WBR’s feedback on their products ended up growing way beyond their wildest dreams. Why? Because they didn’t assume they knew what their customers wanted, and they were open to feedback that helped them make a better product. Because they kept an open mind, WBR helped them outgrow all of their competition and open new markets. The lesson is be able to take constructive criticism and pay attention to customer feedback. One of the challenges WBR faced in areas where they sold the bikes was that they cost way more than the cheap ones that were already there. The difference was, people saw that they lasted for years rather than days, and that’s what helped them continue to sell bikes against much cheaper competition. FK wants to keep making their bikes better and more affordable (note: not cheaper, which means they’d have to cut corners, but more affordable for a high quality product). And he’s trying to build the For Profit bicycle business to fund the charitable efforts. That’s the equivalent of growing profitability so you’re not relying on outside investments or loans. Think about how much freer your business could operate if it weren’t reliant on someone else’s purse strings. And think about how much harder it would be for your competition to catch up if you continually refined your products to make them better and more affordable. Sometimes you have to do the latter by improving your processes and supply chains rather than actually changing the product. However you do it, get creative and never rest on your past successes. I’m paraphrasing FK’s parting advice here: “Your business plan gets your ready to enter a market, then go to that market and be nimble. Be humble. Talk to customers and be ready to learn. Learn about the opportunities that are there, and pay attention to the things others may not see because they’re not there.” Which sums up much of what we talked about, so I’ll recap because it’s so important: Talk to your customers, then develop the products, services and solutions they really need. Don’t assume you know what’s best or what people want. Ask questions so you know for sure. The Build Cycle Guide to finding the right idea for your first (or next) startup.